I unfriended someone today on Facebook because of this meme. To tell you the truth, I’m not even sure who he was. I’m usually very careful about those added to my Facebook list so somewhere along the way maybe we worked a campaign together or something but I cannot remember. All I know if he was despicable in his hatred toward John McCain. Conservatives used to talk about how hateful and vitriolic Democrats were toward Republicans. This meme proves that some on the Republican side have become just as hateful and vitriolic proving the hypocrisy that now permeates the GOP. This meme is beyond the pale and further demonstrates the divide between 80 percent of the Republican party and the other 20 percent. Ronald Reagan would not be welcomed in the party under Trump. John McCain: Vietnam POW for 5.5 years, public servant who represented Arizona for 35 years, twice a GOP presidential candidate. After the heartbreaking news from his doctors that he has only weeks to live, psychiatrist/author/news commentator/panelist Dr. Charles Krauthammer began his open letter of goodbye by explaining his absence in recent months, how he thought he was on the road to recovery, and the bitter news that he was losing his battle with cancer. “I leave this life with no regrets,” he wrote. Read it all here. Dr. Krauthammer’s story is not in his death, but rather in his life, a life where he took lemons and turned them into lemonade. Now 68, he was paralyzed during his first year at Harvard Medical School in a diving board accident. After 14 months in the hospital, he returned to med school and earned his degree as a psychiatrist, graduating with his class. He once joked that he was a medical doctor, a psychiatrist in remission, and hadn’t had a relapse in 25 years. He practiced that in life, leading psychiatric research during the Jimmy Carter administration and became a speech writer for Vice President Walter Mondale. At the time he became ill last summer, he had spent years as a panelist on Fox News with Bret Baier, and 23 years as a panelist for PBS’ Inside Washington. He wrote extensively, both in the medical field and then increasingly, in politics, publishing in Time, The New Republic, the Washington Post (where he won a Pulitzer Prize), Financial Times, The Weekly Standard, and many others. He won extensive awards and recognition for his work in all venues. Krauthammer’s independent streak came out in his criticism of Donald Trump. He believes there is evidence the Trump presidential campaign colluded with the Russian government. He was married and had a son. Friends talk about how he loved the Washington Nationals and was often at their games. His life was remarkable. When tragedy struck, he seemed to dig down deep and excel at a time when many would give up. His voice, his intellect, his reasoning were calming amidst turbulent political times. That civility will be sorely missed. Americans learned of a phone call Tuesday between Vladimir Putin and Donald Trump who congratulated him on his “winning” campaign. However, they learned of it only after it was announced by the Russians and word made its way back to the U.S. Reporters at a White House press conference questioned the president about congratulating Putin, and Trump confirmed that, indeed, he had called Putin. POTUS better be careful about getting too close to Putin lest he be on the receiving end of the Russian-owned poisoning agent used on a former KGB spy and his daughter in Britain. His words echo the thoughts of many conservatives who have turned from Fox News in the age of Trump. There was a time when many, including myself, turned to Fox for news that could not be found in other news outlets, and they were, indeed, fair and balanced by presenting supporters on both sides of an issue. Thankfully, there are still rational voices at Fox including Shepherd Smith who have come under fire from lock-step listeners who object to hearing any version that is not the one they believe. As long as Fox shrills like Sean Hannity, Laura Ingraham, Tucker Carlson, and others continue to mislead watchers with conspiracy theories while making 180-degree turns from their previous stands during the administration of Barack Obama, the Republican Party will continue to drown in hypocrisy. Too long for a Facebook status, kind of short for a blog post, my opinion of the unbelievable events currently going on in Washington, D.C…. In my opinion, it is highly unprofessional and unbecoming for our elected officials in Congress to push unsubstantiated conspiracy theories in front of TV cameras while undermining our law enforcement / intelligence communities. It is the reason I stopped listening to conservative talk radio eight years ago when “the sky is falling” mentality had everyone in an uproar day after day. All negative, all anger — people cannot live without hope. Sadly, the lights are in danger of going dark in the shining city on the hill. Dignity and restraint … that, he said, was what was missing from Trump’s ongoing back-and-forth with fallen hero La David Johnson’s family. A president who had barely taken office was faced with the worst attack ever on American soil, and he rose to the occasion. It can never be said enough … we cannot forget the terrorism attacks of 9/11 and the 3,000 innocent souls who perished that day. I hope those who were too young to be impacted by the events of that day will listen to those who were there. President Bush: Thank you all. I want you all to know — it can’t go any louder (referring to the bullhorn) — I want you all to know that America today is on bended knee, in prayer for the people whose lives were lost here, for the workers who work here, for the families who mourn. The nation stands with the good people of New York City and New Jersey and Connecticut as we mourn the loss of thousands of our citizens. It was a moment that uplifted the nation and brought American solidarity. May we never forget. It was a perfect example that governing is different than campaigning, or perhaps that saying one thing to get elected morphs into something else once in office (see Trump’s years of tweets calling for U.S. to leave Afghanistan). In Monday night’s speech President Donald Trump reversed years of publicly and harshly criticizing previous presidents when he declared that they were wrong in their policy of Afghanistan, and his determination that America should withdraw troops from Afghanistan. Trump’s speech announced to the nation that more American soldiers were going to be sent onto the battlefield. Fox News: Transcript of Trump’s announcement. Senator Susan Collins of Maine is a pragmatic, rational, New England Republican who represents her constituents. To the right wing of the GOP she is a RINO and a moderate, titles that are not derogatory to everyone, but to the Maine residents she is exactly who they want standing up for them. This Bangor interview from Monday’s MSNBC is a good look at where Sen. Collins stands. Take a listen with an open mind. 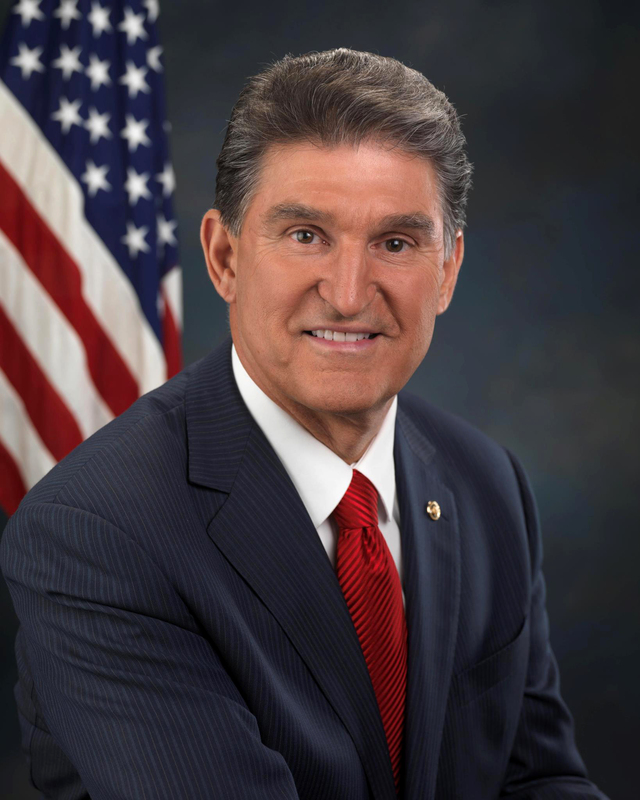 In the world of politics, Senator Joe Manchin (D-WV) has always been his own man. In today’s toxic political climate, he continues that path but his latest exchange showed he definitely belongs in the Backbone Club that consists of those not swayed by polls, bullied by fringe groups, or ruled by reelection fears. The Backbone Club is populated with other elected representatives who have taken a principled stand and not backed down: Sen. John McCain, Sen. Jeff Flake, Sen. Ben Sasse, Sen. Lisa Murkowski, Sen. Susan Collins, Sen. Lindsey Graham, Sen. Cory Gardner, Rep. Barbara Comstock, and Gov. John Kasich. There may be others who deserve to be added to this list. On Friday, the House will meet at 9:00 a.m. for legislative business. First votes expected: 10:45 a.m. – 11:45 a.m. Last votes expected: TBD. Here we are again in a place we’ve been before as we find ourselves in a bellwether election, this time to test the nation’s temperament for the man in the White House. November’s results could give insight into the 2018 mid-term elections. There are only two gubernatorial races in the country this year. 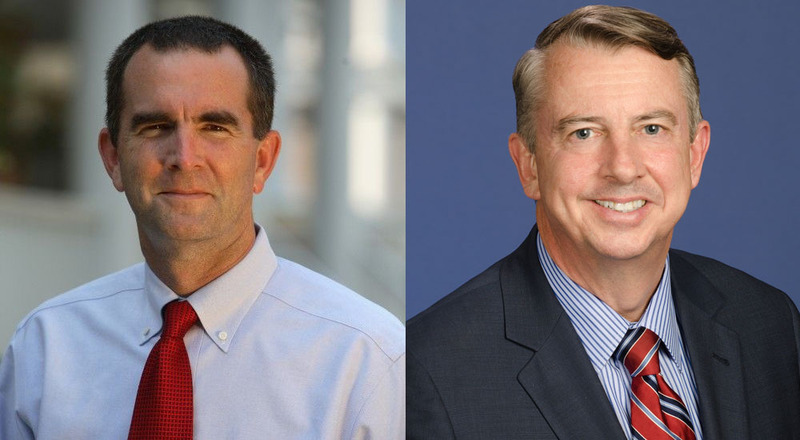 Republicans are not expected to prevail in New Jersey so all eyes are on Virginia’s Governor race between 55-year-old Republican Ed Gillespie and 57-year-old Democrat Ralph Northam. That includes their respective political parties who are eager for a win. Email boxes have been filled with the tiresome but obligatory chest-thumping emails as both sides point fingers at their opponent to expose their “big money” campaign contributions when, in reality, the money-dumping is happening on both sides.